There are many rangefinders on the market but if you are intending on purchasing one, then you should consider researching and shopping around. These optical devices vary a lot in terms of specs and price. 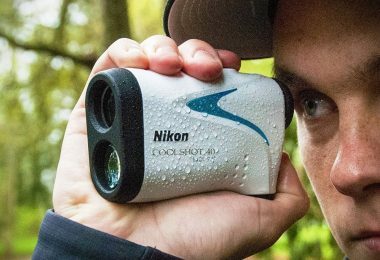 In this article, we’re going to review for you some of the best cheap rangefinders out there. Before we delve into the in-depth review, the table below highlights some of the main features of the scopes reviewed in here. This brief summary is intended to help those who have little time to read everything written in this article. However, if you’ve got time and want to learn a lot about these optical instruments before buying one, keep going. First of all, this is what you should really look for when purchasing any item that is designed for long distance viewing. Your ideal rangefinder should be able to cover more than 250 yards especially if you will go hunting with it. It is also advisable that you select a device that will give you clean, clear and accurate readings. Therefore, if it is within your budget you should purchase the rangefinder that has the more advanced features in this area.Be sure to get one that gives LCD measurements even in poor lighting and getting one with a backlight is also a good idea. 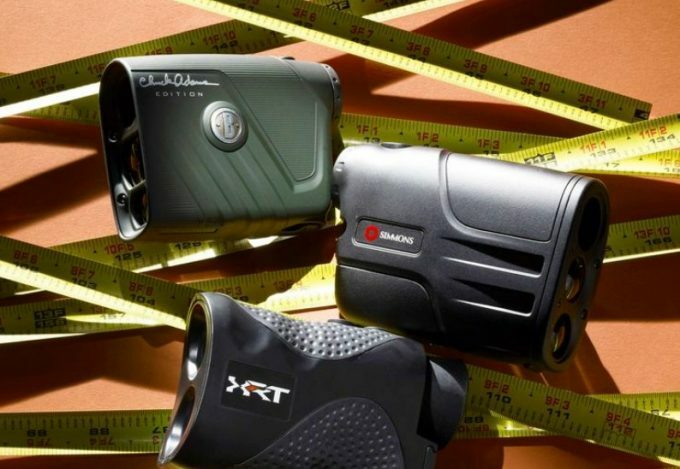 No one wants the burden of carrying bulky equipment and in this technological age, it is pretty easy to find rangefinders that are compact and lightweight. Some can be even fitted in the pocket, around the neck, attached the belt or carried in cases or lanyards. Choose the one that best suits your style. It is not always going to be sunny outside and you are not going to always have good weather. So choose the rangefinder that can function at its best under the worse conditions. Be sure to go for the ones that utilize the nitrogen purge mechanism and are fog resistant but you will also want a device that is water, rain, shock and drop resistant and there are rangefinders that come with all of these features. You should also consider battery life as well. The Simmons LRF 600 Tilt Intelligence Laser comes with fixed focus lenses that allow you a reach of approximately 10 to 600 yards. This device is manually operated and can be easily used. It is important to note that once you locate an object that is within range, you will be able to clearly view it. Additionally, this device comes with the rangefinder’s In View liquid crystal display and it allows you to magnify your object up to 4 times its size thereby making it ideal for hunting or anything that requires crisp, clean and clear viewing. The Simmons LRF 600 Tilt Intelligence as the name suggests, comes with a tilt intelligence mechanism that allows the user accurately view the horizontal distance and the line of sight measurement. This is a lightweight device that can be easily maneuvered and it is battery operated. However, you will need to purchase the nine-volt battery separately because it is not sold with the device. The SA Sports 7.26 Dragon Eyez 1500 Yard Rangefinder is among the leading devices of its kind. It is extremely popular among users because of its efficiency. This device is user-friendly and requires no complicated setup. 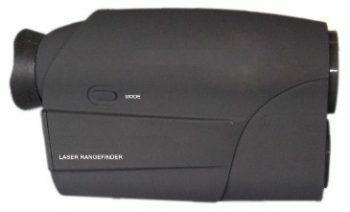 It is an easy to use, a battery operated rangefinder that will enhance vision. Therefore, it is suitable for both the amateur and seasoned professional. The SA Sports 7.26 Dragon Eyez 1500 Yard Rangefinder is durable enough to withstand extreme weather conditions. Interestingly it comes with a ‘rain mode’ feature that allows you to continue viewing under the harshest conditions. It is lightweight and can be easily carried, be it on the lanyard that is included or can be easily placed in a case or however, you wish to carry it. Additional accessories include an underarm carrier, camouflage skins, accessories case, GPS system and a tripod on the mount. This rangefinder comes replete with features and accessories and as a result, it is a popular purchase. As you can see this particular rangefinder is quite versatile, as it can easily be used in so many different areas. The Wildgame Innovations Halo XRT is a revolutionary device that comes with the latest features at a reasonable price, a very rare combination. The Wildgame Innovations Halo XRT can be easily carried because it is lightweight and will make it easier for you to perform your tasks. In fact, it is designed to be carried effortlessly carried in one hand, thereby permitting the user to multi-task and this makes it particularly suited for golfers. In addition, it functions well under tough weather conditions because it comes with slip resistant rubber panels that allow the user to firmly grip the rangefinder whenever it is raining and it also comes with special fog resistant lenses. It is ergonomic and durable, water resistant and is likely to give great value for money. The Wildgame Innovations Halo XRT allows the user to see clearly up to approximately 500 yards which will is ideal for the hunter and it is capable of magnifying an object up to six times its size. The ‘Scan Mode’ gives the user the option of selecting a number of targets without having to manually select each laser. It also comes with a prominent LCD display that allows the user to zoom in on a particular object in addition to the battery life. The Wildgame Innovations Halo XRT has an energy saving mechanism which powers off after 20 minutes of inactivity and the CR-2 Lithium battery ensures that it lasts longer than other models. It can also be easily carried in the accompanying case or lanyard. 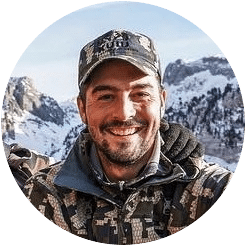 So, the Wildgame Innovations Halo XRT is definitely a good buy that comes with a whole range of useful features and it is one of the most inexpensive of its kind. 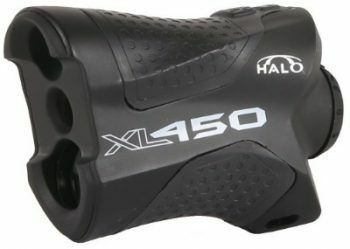 The Halo XL450 Laser Range Finder is one the most technologically advanced rangefinders that allows clarity of vision from as far as 400 yards. This device is ideal for hunting and it has a greater reach than most rangefinders on the market. One of the most impressive things about this device is that it comes with a precise plus or minus one-yard mechanism that allows the user to accurately view an object that is located a yard away. It also comes with a ‘Scan Mode’ that makes it easy to record multiple readings. Additionally, Halo XL450 Laser Range Finder comes with two buttons that make it easy for the user to toggle between scan mode and laser ranging which will come in handy for the hunter who needs to navigate the area with precision. Remarkably, it magnifies the object up to six times its real size so that you can easily zero in on the target. 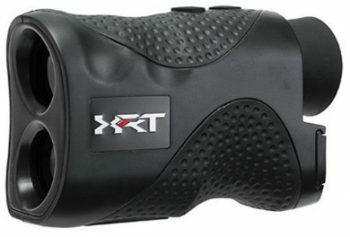 The Halo XL450 Laser Range Finder is user-friendly and is designed to suit the individual needs of the user; manufactured to perfectly fit into the hands of the user, it adapts to the unique shape of the hands and comes with a rubber exterior that makes it slip-resistant and easy carry with or without gloves. It also features a prominent LCD display that is best used under good lighting conditions. While some users do not fancy devices that come with CR–2 batteries because they can be a bit pricey and sometimes difficult to find, they are worth it in the long run because they last longer and will save energy. It is important to note that it also comes with a button that power off automatically after 20 minutes. Additionally, it is not designed to be solely handheld like some of the other rangefinders but comes with a special neoprene case that can be fastened to the belt loop and it can be strapped around the neck or wrist. It can function optimally under some of the worse conditions because it is fog, water, shock and drop resistant and comes with the guarantee of a very long shelf life. TecTecTec ProWild Hunting Rangefinder is ideal for hunting and has a reach of 540 yards and can magnify an object up to 6 times its real size. It comes with + – 1 yard in accuracy that makes it easy for the user to precisely target the object with ease. It also has an LCD display that can record multiple off distance readings. To top things off, it can be easily carried because it comes with a case and lanyard. 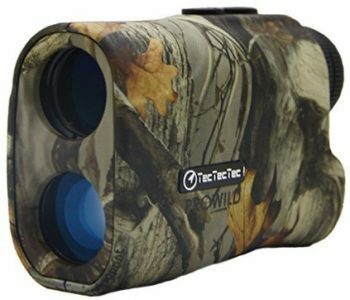 Remarkably, the TecTecTec ProWild Hunting Rangefinder has a feature that makes it truly peculiar and that is, it comes with a camouflage exterior that makes it easier for the hunter to blend into the environment thereby putting the user at an advantage. 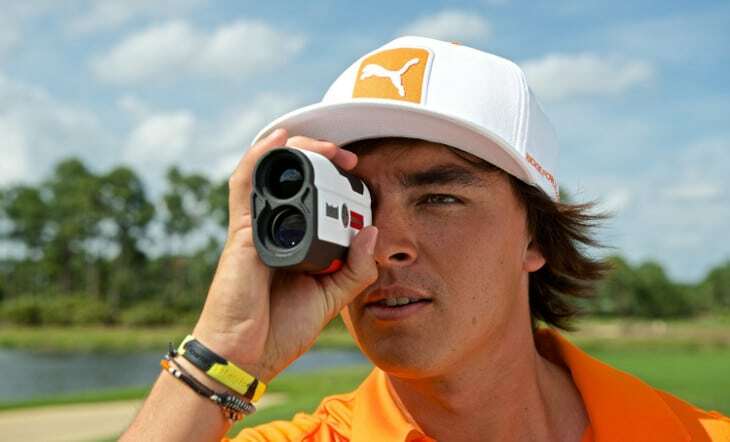 Suaoki Digital Laser Rangefinder Scope can be used by golfers to obtain precise measurements. It has a reach of 600 meters and comes with 6X magnification. There is also an LCD screen that gives a side view and will give a +/- 1-meter accuracy that will be good for golfers. 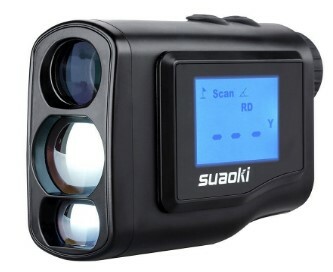 Suaoki Digital Laser Rangefinder Scope is a very simple device that is affordable with a somewhat plain exterior. This can be used to perform basic functions and is affordable. So if you are looking for something simple that meets the basic needs, then this is the rangefinder to get. With a 21 mm objective lens, this set up will let in plenty of light to make sure that you will have no problem finding the target you are looking for. 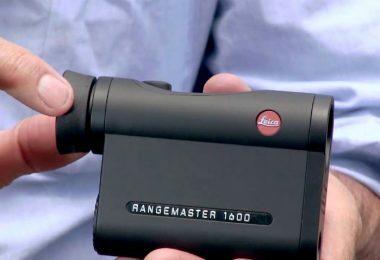 This is perhaps one of the most popular rangefinders on the market because it is both functional and affordable. 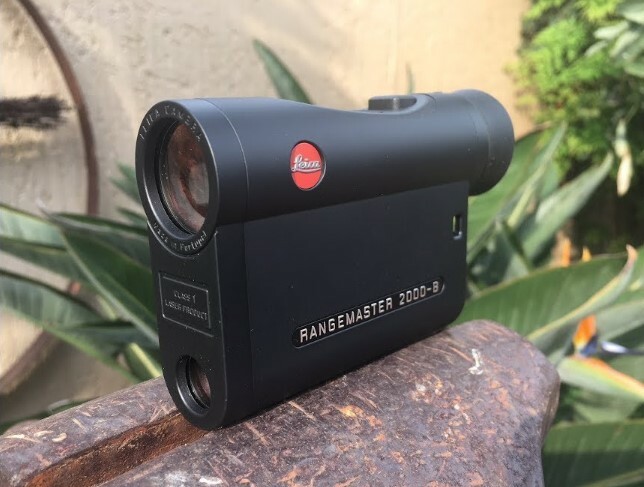 This range finder is creating quite a rave among consumers who are excited about getting a range of up to 550 yards and it automatically displays the object that is farthest away thereby giving the user an advantage. 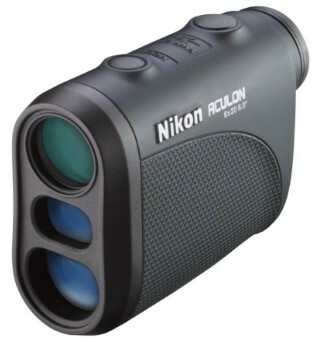 Nikon 8397 ACULON AL11 Laser Rangefinder is a very lightweight model that can be easily held, carried and used. If you are keen on getting all the useful features of a rangefinder at a reasonable price then this is the device for you. To top it off it is durable, can perform optimally in harsh weather conditions and is water resistant. 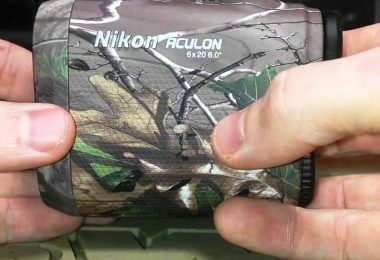 With all of this in mind, it is no wonder that the Nikon 8397 ACULON AL11 Laser Rangefinder is a popular buy. It is easy to view through and can change the display from yards to meters, and vice versa. It will also automatically displays the distance to the furthest away target. 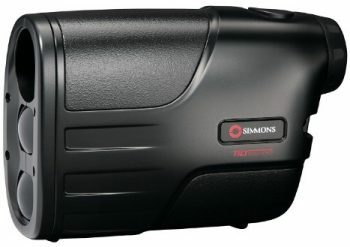 Simmons 801600 Volt 600 Laser Rangefinder is compact, user-friendly and can be easily carried. It is a very small and easily held model that comes handy enough to be fitted in the pocket or carried around the neck. This device will give 20-second continuous measurement once you manually press a button and it provides a clean, clear and crisp display. 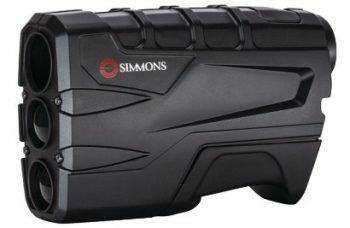 The Simmons 801600 Volt 600 Laser Rangefinder gives a range of about 550 yards and is ergonomically designed to be waterproof. It comes with long eyes relief as a result of its multi-coated optics. It is a good buy for anyone seeking accurate measurements and precise object viewing. It features multicoated optics and can be operated with a single button. Rangefinders are easily accessible and it is important that you choose the one that is best for you. Therefore, be sure to make note of what you are really looking for in a rangefinder before purchasing the device. If you are intent on simply covering the basics then purchase the one that will meet your needs. However, if you want something that will give you the best features then you should try to do so and if it is within budget then you should definitely consider it. However, ensure that it is capable of getting the job done and that it goes beyond being hip and fancy. It should give you great range, multiple readings, and measurements and should be precise. Also, purchase the range viewer that will withstand the test of time and the battering and harshness of the outdoors. It is wise to purchase one that is not too complicated but can be easily used and carried. After all, you should be allowed to do that which you love with a device that allows you and will not put an unnecessary damper on your fun. Don’t forget what the devices run on. Some will work with easy to find batteries and others are a little trickier to find. Finally, it is your turn. We would love to hear which selection you went with and why.